Head Emeritus at the Institute of Slovenian Literature and Literary Studies, Research Centre of the Slovenian Academy of Sciences and Arts; Associate Professor of Comparative Literature. Dolinar’s main research area is the theory and methodology of literary studies including literary hermeneutics; he has also done research in translation theory, narrative theory and the German-Slovene literary and cultural transfer. In recent years, he has been focusing on the history and methodology of Slovenian literary scholarship and its European context. Dolinar was the first editor-in-chief of the journal Primerjalna književnost (Comparative Literature, 1978–1997) and a member of the editorial board of the scholarly book series Literarni leksikon (Literary Lexicon, 1980–2001); since 2004 he has been co-editing the scholarly book series Studia litteraria. He has taught various graduate courses in Literary Theory at the Faculty of Arts, University of Ljubljana; since 1994 he has contributed to individual graduate programs, and from 2003 to 2010, to the general faculty course on the methodology for graduate students in all literary departments. He has co-organised many conferences and other events of the Slovenian Comparative Literature Association. Ed. (with Martina Ožbot and Tone Smolej): Odprta okna: komparativistika in prevajalstvo. Ljubljana: Društvo slovenskih književnih prevajalcev; Založba ZRC, ZRC SAZU, 2009. Ed. (with Marko Juvan): Primerjalna književnost v 20. stoletju in Anton Ocvirk. Ljubljana: Založba ZRC, ZRC SAZU, 2008. Ed. (with Marko Juvan): Writing Literary History: Selected Perspectives from Central Europe. Frankfurt: Peter Lang, 2006. Literaturgeschichte. Prev. Katja Sturm-Schnabl. V: Enzyklopädie der slowenischen Kulturgeschichte in Kärnten/Koroška: von den Anfängen bis 1942. Ur. Katja Sturm-Schnabl in Bojan-Ilija Schnabl. Dunaj: Böhlau, 2016. 833–36. Primerjalna književnost na Slovenskem: kratek pregled. Primerjalna književnost 36.2 (2013): 269–89. Who Chooses and Who Offers Texts for Selection? Primerjalna književnost 33.2 (2010): 227–41. 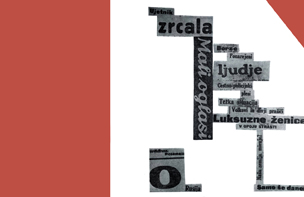 Slovene Text Editions, Slavic Philology and Nation-building. In: Editing the Nation’s Memory: Textual Scholarship and Nation-building in Ninteenth-century Europe. Ed. Dirk Van Hulle and Joep Leerssen. Amsterdam and New York: Rodopi, 2008. 65–78. Anton Ocvirk and Slovene Comparative Literature Today. Slovene Studies 30.2 (2008). 283–90. Dialogizität und Hermeneutik (Gadamer, Jauß, Bachtin). In: Bakhtin and the Humanities. Ed. Miha Javornik et al. Ljubljana: Znanstveni inštitut Filozofske fakultete, 1997. 161–72. Born in 1942. BA and PhD (1993) in Comparative Literature, Faculty of Arts, University of Ljubljana. Spent a year studying at the University of Tübingen, Germany. Worked in the Slovenian National Broadcasting Company and the Cankarjeva založba publishing house; in 1971 employed by the Institute of Slovenian Literature and Literary Studies, Research Centre of the Slovenian Academy of Sciences and Arts, where he was the Head from 1983 to 2011, when he retired. In 1986 won the Boris Kidrič Foundation Award together with fellow co-editors of the scholarly book series Literarni leksikon; since 2006 an Honorary Member of the Slovenian Comparative Literature Association.